​"The Mysterious Mr Jacob, has matter to delight Salman Rushdie and his ilk, mingling as it does spies, court cases, the occult and a near priceless diamond. ... The story here is rich and most strange, well-researched, and told like a thriller." "Detailed primary research ... wrapped in fine prose and an effortless sense of narrative." "An engaging, informative read that holds your attention right till the end". Armed with little more than an obituary published almost 90 years ago, John Zubrzycki goes in search of one of the most romantic figures India has ever seen. Magician, diamond merchant, mesmerist and spy, Alexander Malcolm Jacob inspired all those who met him including Rudyard Kipling who immortalised him as Lurgan Sahib, the “healer of sick pearls” in his classic novel Kim. After arriving penniless in Bombay in 1871, Jacob became the most famous jeweller in princely India, a player in the Great Game and a confidante of Viceroys and Maharajas. Starting on the banks of the Tigris in modern-day Turkey where Jacob was born, Zubrzycki strips away the myths and legends to discover the astonishing story of one of the most enigmatic figures of his time. The journey takes him to the slums of Bombay, to the fabulous court of the Nizam of Hyderabad, the hedonistic heights of Simla, the summer capital of the Raj, and finally to the labyrinthine corridors of Calcutta’s High Court, where Jacob’s career ended in bankruptcy and humiliation. 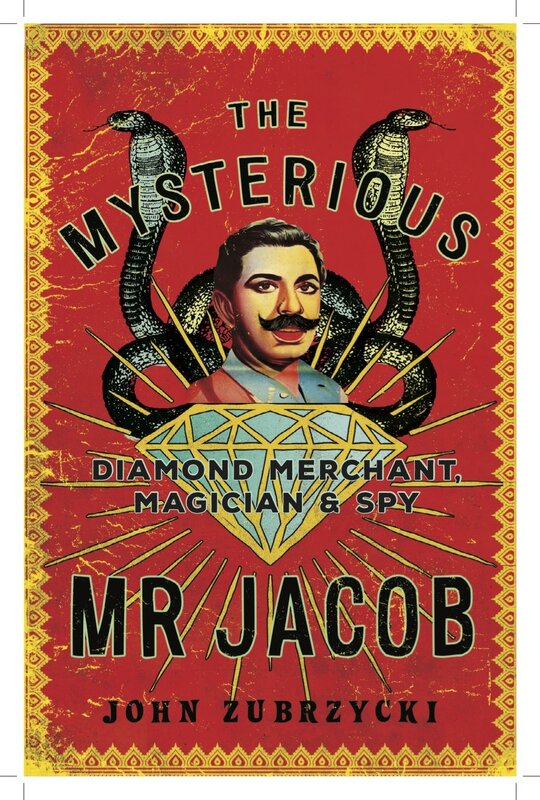 John Zubryzcki’s book, The Mysterious Mr Jacob: Diamond Merchant, Magician and Spy provides the first in-depth look at the unique life of the spy-salesman. We caught up with John to learn more about the life and legend of one of India’s most unique personalities.